The ongoing crisis in Catalonia over the region’s independence referendum is turning into one of Europe’s most pressing issues. The region in Spain that includes Barcelona, had planned to implement a vote to determine whether the region will secede from Spain. Following its announcement, the referendum was declared illegal by Spanish authorities, and the government has deployed security forces to prevent the vote from taking place. As of now, at least 38 individuals have been treated for injuries at the hands of riot police, while over 70 percent of polling stations remain open defiantly open. Authorities have taken the battle to the net as well, shutting down pro-separatist sites. The question over the referendum has turned into one of Spain's biggest political challenges since the country returned to democracy following the dictatorship of General Francisco Franco after the leader’s death in 1975. While the events surrounding the referendum are still unfolding, the implementation of the independence vote does give a stark message for the rising tide of nationalism in Europe. Independence is not an overwhelmingly popular idea amongst Catalonians. According to reports, opinion polls suggest just about half of Catalonia’s 7.5 million population supports breaking away from Spain. The separatists are however the ones making the most noise. The movement’s influence ballooned in 2015 after independence parties won a majority in the national elections. Furthermore, it seems that independence supporters are simply more active than those who don’t want the secession to happen. In the last independence referendum in 2014, the eighty percent of participants who voted ‘yes’ came from only a forty percent slice of the population. All of this demonstrates how nationalist agendas can be furthered by a determined minority, by either being the only ones that choose involvement in the political process, or by successfully garnering an anti-establishment base. 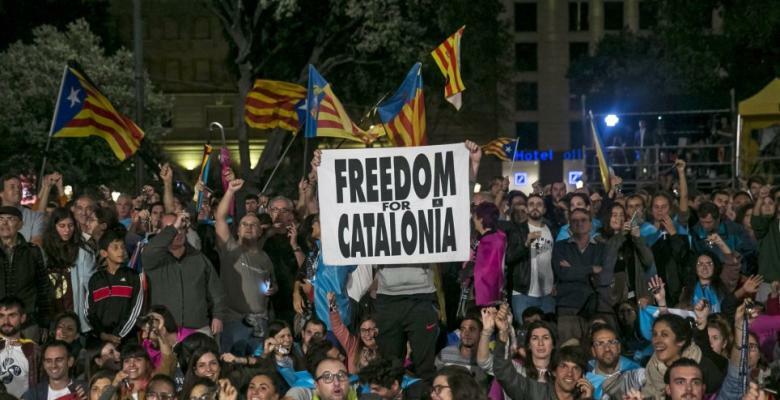 Many observers have been quick to point out the similarity of the current events in Catalonia to the exiting of Britain from the European Union. While the political set-up surrounding Brexit is very different from the one connected to the Spain-Catalonia schism, the underpinnings of the two events are quite similar. There are two issues fueling the Catalonian independence movement. First is an economic one. Catalonians are simply more economically productive than their Spanish counterparts. Catalonia makes up only sixteen percent of the total population of the Spanish Republic, yet contributes a substantial portion of the GDP. The region is a major technology hub and brings in one-third of total investment into Spain, and produces one-third of all exports. There is a strong sentiment amongst Catalonians that they are in a way, subsidizing the rest of the country. The desire for economic freedom bears a strong resemblance to the sentiment of Brexit supporters, bemoaning the restrictions and hindrances placed on the British economy by the EU. The second issue is the simple yet important point of national identity. Catalonians have their own language, their own culture, and their own distinct national heritage. It is a mistake of history that the region is still attached to Spain at all, and is no more than a vestigial layover from the twilight era of the Spanish Empire. The current referendum can be seen in historical context as the latest in a series of “revolts” against the central authorities in Spain over the past several hundred years. What awaits to be seen is the continental effects that the referendum outcome will have on Europe. Since the region is an economic powerhouse, any attempt by Spain to block recognition of a more independent Catalonia by the EU could be a shock for the Eurozone. As for the growing trend of nationalism in Europe, the current events will almost certainly serve to bolster independence movements on the continent, from the Basque in France, to the Scotts of the UK.